If you can bring yourself to read this – you’ll note that my writing style is a bit different to the usual. I’ve basically copied, pasted and fiddled with my first hack attempt at an ‘academic’ essay written for an assignment for my diploma of Nutrition. I should also add that despite my findings, which were positive, I have invested in a 6 stage, in-home 12L water filter (something I’ll write about at a later date…). An average 160L of tap water are consumed by Londoners every day, with roughly 4% drunk from the tap. Should we be drinking it? After all London is an old, big, busy powerhouse of a city, home to 10million people. It generates 55,000 tonnes of waste and pollutants every day that either pour into the sky, are buried in waste pits or are flushed down our drains. In the Borough of Kensington and Chelsea alone 1,420,000m3/day of treated sewage effluent is permitted into the Thames Tideway every day. Considering the downside of the solvent nature of water’s magical structure of hydrogen bonds is that polar pollutants are just as easily dissolved into it as the goodness of vital nutrients, it would be a miracle to hear that our tap water is not negatively affected in some way. What’s in our water before treatment? Most London water is sourced from the Thames River and the rest is from groundwater sources. Before treatment, this raw water contains many unwanted pollutants; pesticides and fertilisers from farming run-off, microorganisms such as typhoid and amoeba, hormones from the Pill released into sewerage and even radioactive substances from both man-made and natural sources. In fact, in Japan, radioactivity is such a problem, Tokyo’s tap water is declared unfit for babies to drink after radiation from Japan’s quake-hit nuclear plant. It is interesting to learn that water from an average tap could contain molecules that dinosaurs drank. However it is horrifying to learn that 63% of our daily water consumption at home originates comes from sewerage. Fortunately, in Britain, water authorities insist not only on primary and secondary treatment of raw sewage (to remove suspended solids and organic matter, and add disinfectants), but also require tertiary processing (to remove nutrients, biodegradable products and even traces of pharmaceuticals and other organic compounds). Thames Water thankfully has a long list of the process London water undergoes to rid us of the pollutants, which may or may not come from our own effluent. Clarification occurs whereby a chemical coagulant is added to bind fine suspended material such as silt and mud particles which are then collected off. Aeration removes dissolved carbon dioxide, hydrogen sulphide and dissolved metals such as iron. Granular Activated Carbon (GAC) is a step that passes the liquid through highly porous carbon particles absorb and remove pesticides, organic compounds and unpleasant tastes and odours. Ammonia is added after chlorination as a further disinfectant to form chloramines, which decay at a slower rate compared to free chlorine, which is useful for longer transportation of the water. Ozone is injected into the water to breakdown pesticides and organic material. Chlorine is added to the water supply as a disinfectant to create a slightly acidic bacteria and virus unfriendly environment. As necessary as it is to do this, chlorine in tap water has also been linked to increased cancers. Hot water also vapourises the chlorine creating a toxic mist that can cause skin conditions. What’s in our water from the tap after treatment? How does tap water reach us? In July 2008, London tap water was voted the best in Britain by scientists from the Drinking Water Inspectorate despite the fact that a problem of lead plumbing was highlighted as a weak point. Replacing ancient lead pipes and dealing with plumbosolvency (lead dissolving into water) is one of the biggest issues facing London tap water. We can blame Prince Albert. At the time of Prince Albert’s death in 1861, the Thames was an open sewer, a toxic hot pot of bacteria and the source of the cholera epidemic of 1854. Grief-stricken Victoria insisted that Albert’s passion for public health be a priority. Engineer Joseph Bazalgette built six west-to-east interception sewers fed by 450 miles of main sewers and 13,000 miles of local sewers to channel London’s waste into the estuary when water was flowing. The system became the model for cities worldwide and invented the first recycled water process. The lead piping works cleverly with the capillary action of water to deliver water upstream to people’s homes above ground but the only problem is that the lead dissolves into the slightly acidic water that passes through it, causing lead poisoning and other serious and harmful impacts on the human body. Since the late 1970s, Thames Water has invested in replacing the lead with copper or plastic pipes. Our water is also hardened by adding lime or phosphate to produce a protective layer of lime scale between the water and the pipes and making the water less acidic, hence less easily dissolving the lead that still exists. The other problem with London pipes is that when the temperature cools dramatically, water expands as it approaches freezing point and bursts pipes. London homes suffer from this most Winters, hopefully not this one to come. So is London Water drinkable? Despite the fact that London tap water has passed through several pairs of kidneys before it reaches the average mouth, and despite the chemicals and trace elements that are found in it, consumers often can’t tell the difference between bottled water and tap. 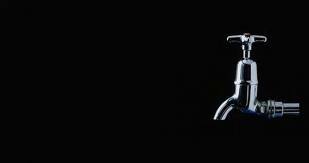 According to a Which survey in 2006 tap water is cheaper, preferred in a blind taste test, more eco-friendly and safe. The added good news is that London tap water is also heavily regulated according to strict health based standards for documented by the World Health Organisation in the Guidelines for Drinking Water Quality, DEFRA. I drink it over bottled water but have invested in a water filter at home, from which, I have to say, the water tastes absolutely delicious. Susan Meggitt on Where is the Raw Food in Stockholm? Infected Mind on Where is the Raw Food in Stockholm?